Today we’re celebrating Close To My Heart! I love CTMH! Great stamps! Thanks CTMH. You are so generous! Fun prize! Thanks for a chance to win! My niece is a CTMH Consultant. 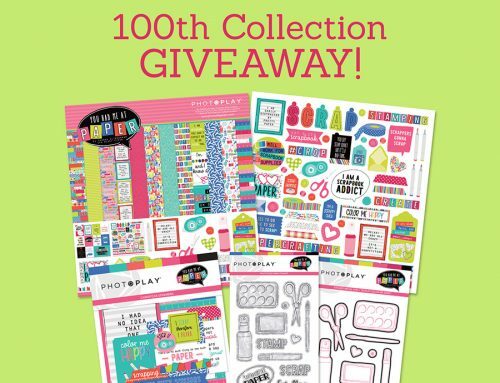 I love their stamp sets and would love to win! thanks for the chance!! I love their stamps..
Lovely stamps, thanks for the chance! What great stamp sets. Close to my Heart has always been a fun stamp company. Love them! These stamp sets look like so much fun!! I’ve never used CTMH but would love to give them a try. Love CTMH, especially their inks! Thanks for the chance to win! I so want to learn how to use these stamps. I love stamping, card making. Love these stamps! Thanks SCT! Oh Yummy! I LOVE CTMH products. They have so many COOL, GORGEOUS stamp sets! What a wonderful prize from close to my heart. It’s so beautiful. As always, great products from CTMH! Love these! They are just awesome!!! What great stamps! A wonderful company CTMH. Thanks SCT! What a great collection of stamps there, such a variety to have lots of fun with. Thank you for a chance to win. thanks for a chance to win.! I love CTMH and would really like to win. Thanks for the chance. Great stamp sets – I can see using them for lots of cards. Absolutely bang on with the camera and brushstroke font with the words! Fabulous sets!! Would love to win! I LOVE CTMH,! Wow! what neat stamps! Love the stamps. Close To My Heart is a great company! What great stamps! Thanks for the chance. Wow!!! I was excited when I saw the first sheet of stamps and thought that that was an awesome prize but then I kept scrolling down and saw that there were 2 more fabulous sheets of stamps that were also part of the giveaway! So many great possibilities! Thanks for the chance to win such a generous prize! 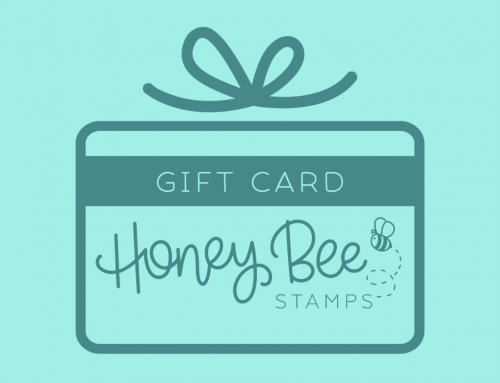 Awesome stamps – thanks for the chance to win! Wow those stamp sets are really fabulous! 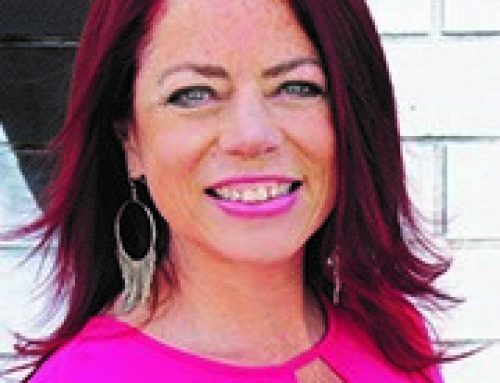 Love the direction CTMH is going! Appealing to more types of crafters for sure with these sets! Love them! LOVE these stamp sets and LOVE Close to My Heart! So generous of them to contribute this great prize package for this fun celebration … thank you, CTMH!!! One of my go to companies for stamps! CTMH rocks! I have plenty of their products in my stash. Thanks for the opportunity to win such a great prize. Love that watercolor stroke! It would be great to have some brush stroke stamps! Thanks for the chance to win! Fabulous sets! Thanks for the chance to win! Love the brush stroke and the labels! Adorable stamps and they will be well used by the lucky recipient. This whole month has been “Close to My Heart” so what a great way to start closing out such a fun month for all of us scrapbookers, card makers and paper crafters. Love it!!! Ι love these stamps, they are perfect for documenting everyday life! What a great collection. I love the brushstroke font. Thank you for the chance to win. There’s no such thing as too many stamps! Wonderful and useful new stamp sets. Thanks for the chance to win some CTMH goodies. I love CTMH!! Thanks for the chance to win!! Would love to win this set. I have been a CTMH consultant. Love their products!! I love CTMH stamps, they are awesome. I love everything CTMH! And I have the best consultant too. Those look like great stamp sets! Thanks for the giveaway, Close to my Heart! Wow what a bunch of great stamps! Thanks CTMH for the great prize pack and thanks SCT for a chance to win! Good to know about another choice in the marketplace. Thanks, Close to My Heart and SCT!! Congratulations to Close to My Heart back up and running again. Terrific stamps! Great stamp sets! Great company! Great giveaway! Great blog! Thanks! I absolutely adore their stamps. I don’t have many, but what I do have of their company, I absolutely love! these stamps look amazingly fun!! Thanks! These stamp sets are so trendy right now. Vintage cameras, paint strokes, awesome fonts, something for everyone! Love them. Thanks for the chance to win, SCT and CTMH! Great stamp sets-thanks for the chance to win! What a wonderful collection of stamps! A big thanks to CTMH for offering them for this awesome giveaway! What a great stamp set…so nice to have a chance to win. Great collection and sneak peek! These sets look so versatile and I think they’d be a lot of fun to work with. Thank you for the chance to win! the stamp sets looks like great fun and can be used for many things! What a fun set to giveaway! Thank you for the giveaway Close To My Heart! These stamps are super-cute! WOWsers! Love that scripty font. So painterly and cool! tfs and a chance to win! Omg I love these stamps!!!! Everything in one place! You don’t have to go out to look for the missing stamp! This is wonderful! These are AWESOME stamps!!! I could say a lot using them!! Thanks for the chance to win them! I love stamps I use them on cards, daily scrap journal, etc. these stamps would be a welcome addition to my collection! OH! WOW! those stamps are awesome and there is something there for everyone and every occasion. Love! Love! Love! them. GREAT stamps. GREAT giveaway! Thank you for this chance to win such a fantastic prize from Close To My Heart. So generous. Awesome stamps! Thanks for the chance to win. I love Close To My Heart products. A close friend of mine is a demonstrator. I love the paper too! I love those brush stroke words. These stamps are great…I could use them in so many ways! Thanks Vlose to my Heart! I love Close to My Heart. Would love to win this awesome give away. What perfectly fun stamps! Love CTMH products. Thanks for the chance to win. Fantastic stamps!! I’m a big fan of CTMH! Love close to my heart. They got me scrapbooking and stamping. Great stamps that are great for many projects!! Thanks for a chance to win!! Love the brush stroke font words. Great looking stamps. Yes, love the brush stroke words! Thanks for the chance to win! Lovin’ the stamp sets! Thanks for the offer to play along. Love Close To My Heart. They have such beautiful products. What wonderful stamps! Thanks so much for the chance to win! Thanks for the chance to win. Love the stamps! I love CTMH! It’s how I got started stamping! Thanks for a great prize to win! I can have a lot of fun creating with these wonderful stamps from Close To My Heart! Another great day of celebrating partners! Sad, though, that we are close to the end! They have such wonderful products. Wow! So many possibilities with those great stamps. Thanks! So many creative possibilities with these sets. Thanks. Wonderful stamps, I love CTMH! I want those season words. I don’t regularly stick to a specific month, but I do find that I do seasons together. Please, oh, Please! I would love all those stamps. Lovely sets of stamps!.Thanks for the chance to win!. I’ve never had a chance to encounter Close to My Heart although I have heard of them. It’d be wonderful to see their products on hand. Thanks for the chance. So versatile for so many occasions. Oh, I haven’t met Close to my heart before. The stamps looks great! This would be great – CTMH are my favourite stamping products! love the bold sentiments! nice! Beautiful stamp sets. Thank you for a chance to win. Awesome stamps. Thanks for this chance. LOVE CTMH! Thank you for the great contests! I would love to have these! I love CTMH everything. These are really nice stamp sets. Thanks for the chance to win them. Thanks for the chance to win! I love sharing my love of stamping with my 5 year old grandaughter. She’s a card making machine! A really nice stamp set! thanks! Oh I love the look of these greeting stamps! CTMH rocks! Thank you for the giveaway! I’m heading over to fb now to thank CTMH! These stamps are awesome and would love to win them! I love, love, love Close to My Heart products! These stamps are all awesome! Love CTMH! What a wonderful prize! Cute stamps! Thanks for the chance! I love CTMH stamps and products. These sets would be nice to have. I always look forward to the new catalogs! Such awesome stamps here, they´re really great. Thanks soo much for the chance to win them. Always love to see other companies’ stamp sets!! Love this set here! I love these stamp sets! Thanks! GORGEOUS new stamp sets! These would be so versatile for scrapbook layouts and card making. Thank you for the opportunity to win these! Just starting out using CTMH, so any stamps would be greatly appreciated! I LOVE CTMH!! They are the best clear stamps and there inks are so bright and cheerful. I already love CTMH!!! What a great stamp set. Love the stamped images your stamps give. Thanks for the contest. I’m a sucker for CTMH. These sets would be a great addition to my collection. I started this crazy card and scrapbook journey with CTMH- still my favorite company. Thanks for the opportunity to win! Love the mix of fonts with these fun stamp sets! Oh, I love stamping big words. I’ve heard a lot of wonderful things about CTMH. There are some die-hard fans out there! Would love to take these stamps for a spin…. I would like to win. Love them all. Wonderful stamp sets. I have my fingers crossed! Love, love, love CTMH! Their products are beautifully designed and very well made! Great stamp sets. I have loved CTMH for years. Thanks for the chance to win these sets. I’ve loved CTMH since it was DOTS! LOL! Yay! I love CTMH stamp sets. I would love to win! I’m just learning how to stamp and color. What a great prize! Would love to win! Oooooooh:-) yummy stamps! Thanks for a chance to win!! What awesome sets!!! I love CTMH! Love your stamps and projects. And the chance to be a winner! Love the stampers. They look wonderful ? I LOVE CTMH Stamps… they are the best…. And wow, a chance to win some goooodies from them toooo.. can’t wait to win some!!! Love Close To My Heart products. Great give away! Close to my Heart acrylic stamps are the very best. I had to toss all my other stamps. These would be wonderful and fresh! Fun sets, thank you for the chance at them. I love their stamps! Such a pretty prize giveaway. Thanks!! I love CTMH! They have wonderful stamps, and their paper is amazing to work with on projects! Thanks for the opportunity to win! I love looking through the catalogue when it comes out…so much fun!! What great stamps! I’m new to card making and scrapbooking and the amazing products out there are overwhelming! Love CTMH stamps and other products! Gorgeous stamps and love CTMH…thanks for the opportunity to win! Nice. I only have a couple of their sets. Nice stamp sets, thanks for the chance to win! Great company and great stamps. I adore CTMH’s quality acrylic stamps! What fun designs!! I love CTMH products!!! Thank you for an amazing giveaway. You can never have too many stamp sets. These are awesome. Thanks. CTMH Has the best products! Love them! Huge fan of CTMH products. Great quality. Love them! What a great giveaway thank you SCT. Great stamp sets. I enjoy CTMH stamps. What great stamp sets. Love them. These are adorable. I would love to use them! Oh, quite nice CTMH. Fun and versatile. Love word stamps…a great prize from CTMH – thanks so much! Awesome stamps! I am not very familiar with their products, but now I will be checking them out! Love CTMH products and attend monthly card classes with my fantastic consultant. Great images on these sets – I especiallylove the brush stroke! I have a few CTMH stamps and they are very good quality and stamp cleanly. I would truly love to win more of their stamps. These ones would be of great use in both cards and scrapbook layouts. These stamp sets will be so useful and fun! I love CTMH and their product lines! These stamps and especially the brush stroke font is my fave! Thanks for the fun this month. Live close to my heart! Hope I win! Beautiful stamps from Close to My Heart! Fabulous stamps! I’d love to play with those! Love Close To My Heart! These stamps looks like so much fun! Nice stamp sets. I would love to win these. Oh what gorgeous stamps! Thanks so much for a chance at the giveaway! Just love ❤ close to my heart! Love CTMH and am so pleased they have consultants in New Zealand! Would love to win these stamps – thanks CTMH & SCT! I so need some stamps to play with; please! Such a cool give away!!!!!! A great wrap up to a wonderful month of inspirations and giveaways! I love these stamps, I love all of their products! Who couldn’t use more fun stamps! I love CTMH. I can’t wait to see the new catalogue. Their products are amazing and so fun to use. I could use these stamp sets on just about any page. Thanks so much for an amazing prize!! I love Close To My Heart Stamps! My absolute favorite die is the Fallen Leaves! Those are so awesome!!! Love them all and I would love to win. Thank you for the chance!! Love the stamp sets. So versatile! looks like a fun selection of stamps that could be so versatile! These stamp sets by CTMH are so well rounded and have great fonts. Clear stamps are my new obsession and these are wonderful! Thank you, thank you, for this chance to win!! I love Close to My Heart products, have a lot of their papers stamps, binders, embellishments, etc. Just love, love, love, them. Would love to win and always use more. Such cute stamps from Close to My Heart! They would be so much fun to use and I would love to win them. Thanks for the opportunity. I agree that CTMH stamps are wonderful and I have lots of them. Good luck to all. they look awesome…thanks for the chance to win! What a fun set of stamps! Thank you so much for sharing the fun. LOVE CLOSE TO MY HEART!!! Howdy howdy howdy! gorgeous stuff, it will look awesome in my studio! HeeHee! I love the stamps! Thanks for the chance to win. These stamp sets look super versatile and cover a lot of card making ground! I would use them over and over. Thanks for sharing them! Awesome stamp set, but Close To My Heart always exceeds my expectations!!! Great all around card stamps. Those sets look very on-trend! Love all of these stamp sets. Only have a few CTM so would welcome these into my collection!!! CTMH has the greatest stamp sets! Their catalogs are wonderful also! Hello stamps is awesome!! Just love CTMH!! I love CTMH products! I have looked for a consultant in my area and fond one!! YAY! I love the way these stamp sets stamp. The images are always so clear. Thanks for the chance to win. I LOVE CTMH! These stamp sets are amazing for mix-and-match! Thanks for the chance! What great stamps! Thanks for the chance to win! CTMH stamps are the best! And these stamp sets look like they would be easy to use too! I used to be a CTMH consultant. LOVE the company!! Just couldn’t keep being my own best customer!!!! Planning on joining again in the near future. Their products ane awesome and their idea book is always FULL of wonderful ideas. Would love to add to my CTMH stash!!! Thanks for the chance to win!!! I have a couple of Close to My Heart stamps so I’m familiar with their great design & product. 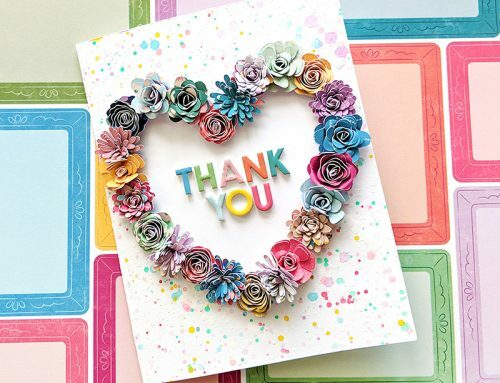 Would love to use these when I get crafty : ) Thanks for the chance to win SCT & CTMH! Love CTMH products. Their cricut cartridges are the best! The new one tops all!! Love the matching inks and paper. Acrylic stamps rock! great CTMH stamp set! thanks for the chance to win it! What a beautiful stampsets! Thanks for the chance! Neat looking sets. Fun fonts. I would really like to win. Thanks for the chance. What a great contest…I love Stamps!!! What a fantastic little stamp set here, so versatile and I love the brush stroke. It is great to see CTMH in here celebrating with SCT ! Thank you both for the great chance to win this amazing stamp set. Love those 3 stamps from Close To My Heart. Super fun stamp sets. Thanks for the chance. Really cool stamp sets!! What fun they’d be to play with ?? Tganks for the chance to win CTMH & SCT!! ? Thank you! I love CTMH! Thanks for the chance to win! I love CTMH. Their stamps are always very trendy! Wonderful stamp sets. And always great quality! I have used Close to my Heart Stamps for about 10 years. I love them! I also always buy the catalog for great inspirations! Great sets for the giveaway. Been a CTMH fan for years. Thanks for a chance to win. Love my CTMH stamps….have ten million I think…or so my husband tells me. I really like all Close to My Heart products. These stamp sets are terrific. I know exactly what I would use them for. Eeeks! what a great stamp set….thank you. Adorable stamps!!! Thanks for the giveaway opportunity. Super cute CTMH! I’m a fan! Won’t those be fun to color in watercolor markers! Love these stamps! I just re-signed as a consultant, so I’m very excited! Thanks for everything! Such wonder stamps, so many ways I could use them. Love CTMH!!! I love their stamps and that chevron speech bubble stamp is too cute! I just love looking through their Annual Inspiration catalogs, dog-earing pages, and ordering!Thank you for the chance to win! CTMH has done it again! I love all of those stamp sets! Thank you!! Wonderful stamps for cardmaking! Thanks for the chance to win! Close to My Heart is a favorite of mine!!! I would love to add these stamps to my scrapbooking room!!! Super cute!!! Love the cool funky font on these stamps. Great prize! Would love to use these stamps. The stamps look great. I didn’t know about this company & this is an amazing way to find out about them. Awesome products at CTMH, love the new catalogue. Their stamp sets and paper products can be used for scrapbooking and card making which is great! Great Scrapbooking stamps. Thanks for the opportunity to try them. Love these stamps they are so cute!! Another great prize! Love all the winning that goes on with SCT!!! AMAZING!!! Super versitle sets with fun fonts. These stamps are great! The mixed fonts are so fun! Thank you for the sneak peek and the chance to win! Love your stamp sets…would be amazing to win! Thanks for the chance to win these great stamps! SCT creative inspiration at its best. Loving all the ideas. So many great CTMH sets. Thank you so much for giving us such a great magazine and such a great opportunity to win amazing gifts like this stamp set. Close To My Heart has the BEST stamps! I know I am biased but I have tried so many others and really love CTMH acrylic! Awesome! Love the paint stripe set. Love CTMH products. Enjoyed classes for a time and made some neat pages. Love CTMH stamps! 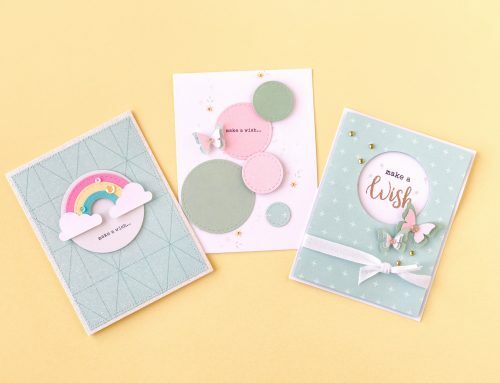 They make card making so easy and great for layouts! CYMBals great products and have attended inspirational,fun crop weekends. These would be great to make some cards with. SCT thank you! Close to my heart has such great ideas and products! Love the stamps! Need to get stamping! Love the kits and diversity! I really love those scripted sentiment stamps – so on trend!!! I love CTMH! Thanks for the chance to win! I love CTMH! I have a great consultant!! I used to be a CTMH consultant and love all their products and especially their stamps. What a nice giveaway!! Oh cute stamps! This has been a fun party. I love the stamp sets. Thank you. i could make lots of cards with those great stamp sets! I love CTMH paper and stamps. OMG, seriously LOVING those stamp sets!! Would love to win, thanks for the chance! Great stamps. I love CTMH. Great stamp sets, thank you. Love the script writing stamps. very cool. What a lovely stamp collection! Thanks for the chance to win these. These stamps have my name written all over them! I LOVE CTMH! CTMH stamps are amazing! Great quality! !